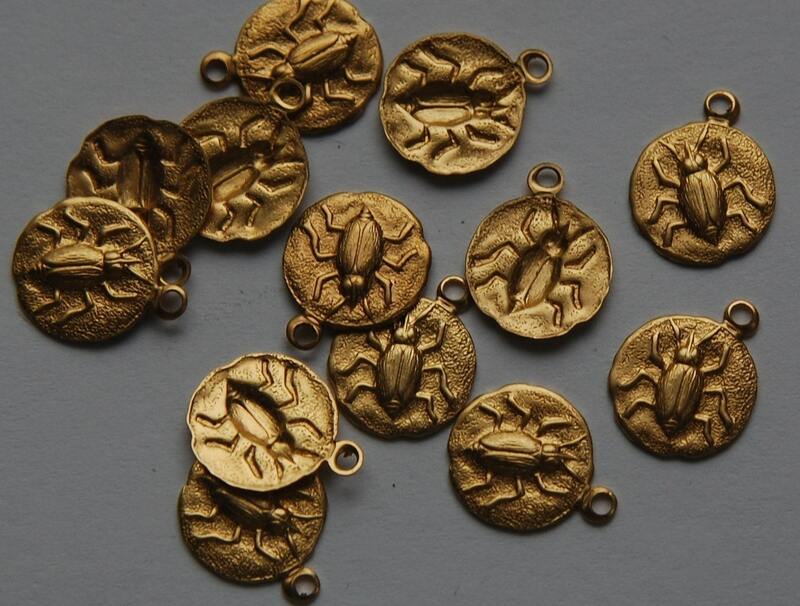 These are sweet little charms or drops. 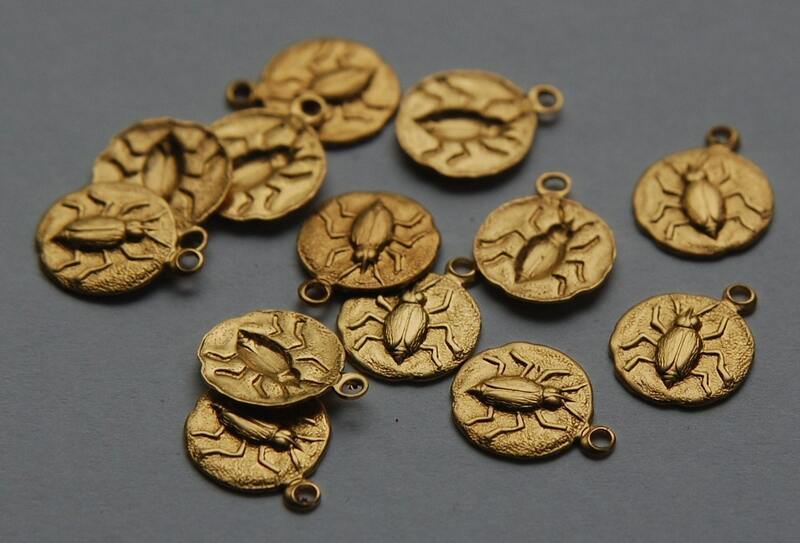 They are raw stamped brass and feature a little beetle. These measure 10mm. You will receive 8 pieces. thank you, quick service, really fast, perfect! Always fantastic quality and rocket-quick shipment. A huge thank you from a very happy customer :) Will be back again!